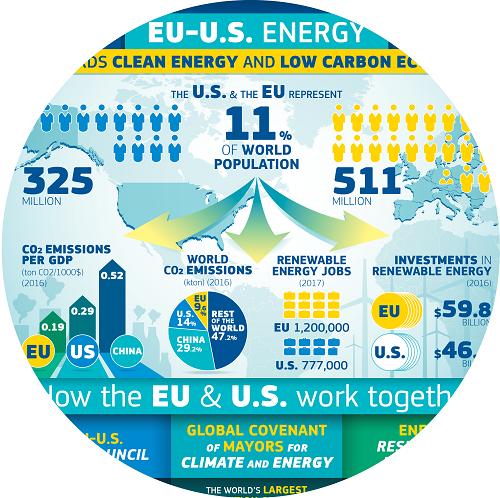 The following infographics were created by the EU Delegation to the US, based in Washington, DC. 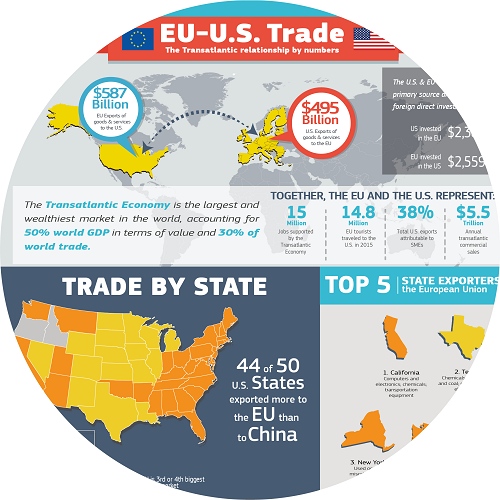 Each of them touches on a different aspect of the relationship between the EU and the US. 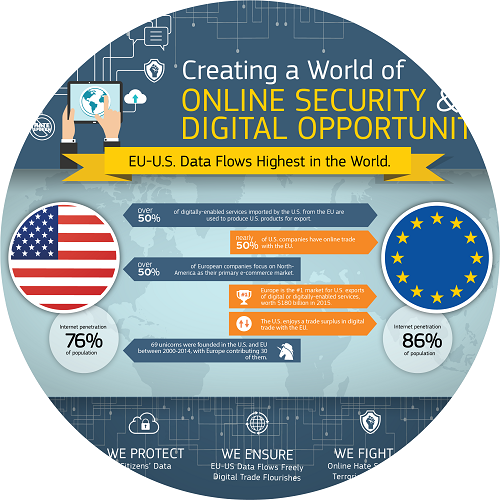 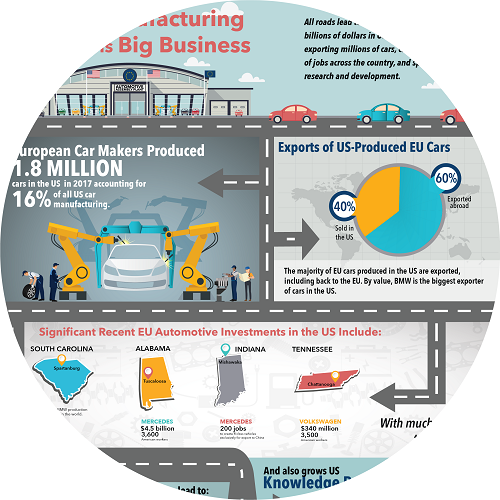 Click on the circles below to access the full resolution infographics from the EU in the US website, and learn more about the topics.